What and where is Drachenwand? 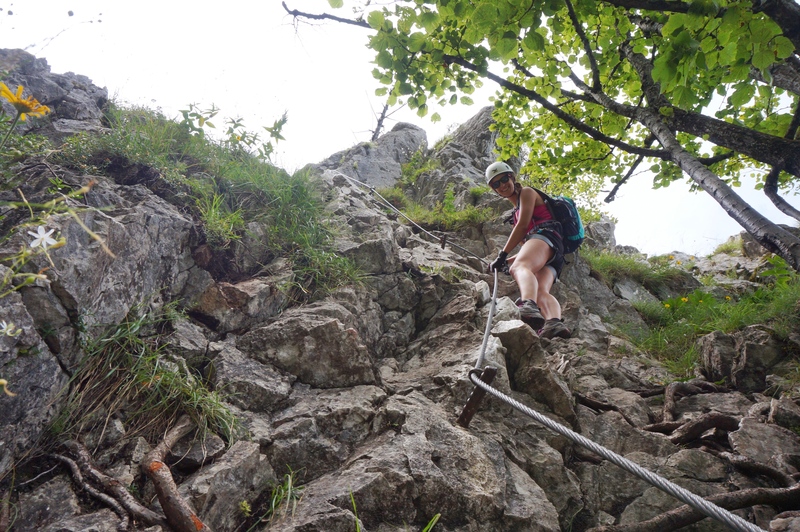 The Drachenwand and therefore one of the most popular climbing routes around Salzburg is a 1176m high scarp. 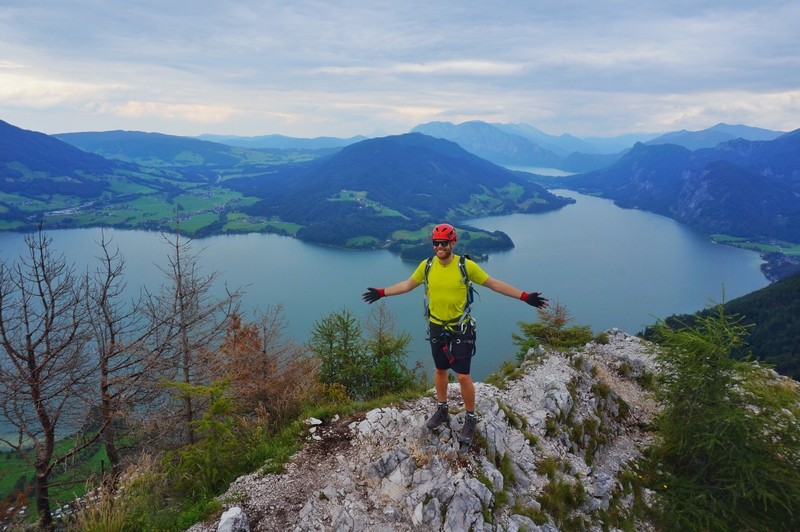 Not only climbing lovers, but also hiking friends love it because of it’s geographical position near lake Mondsee. 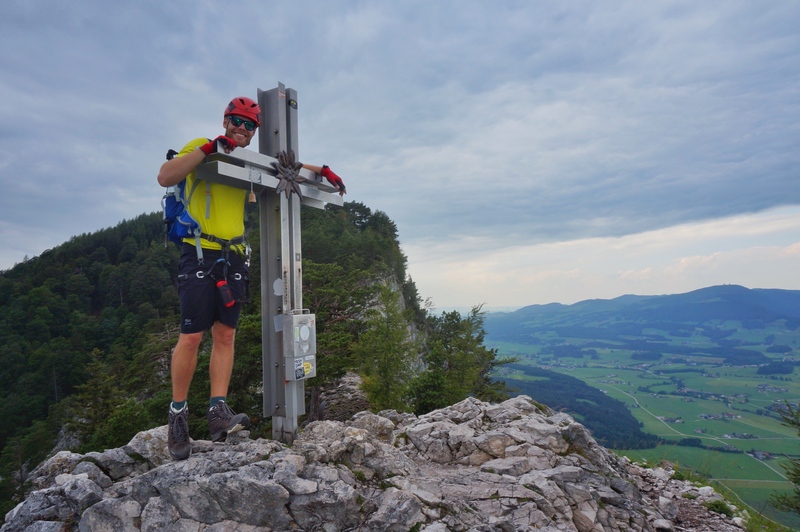 Follow the signposted route to Drachenwand and after about 10 minutes you will find a trail on the right side after a small chapel. Follow the stone sculptures with red dots on it along the creek. After the scarp you have to cross the creek and walk the way up on the left side until you find the starting point after around 20 meters. Most parts of the climbing routs are difficulty level B. 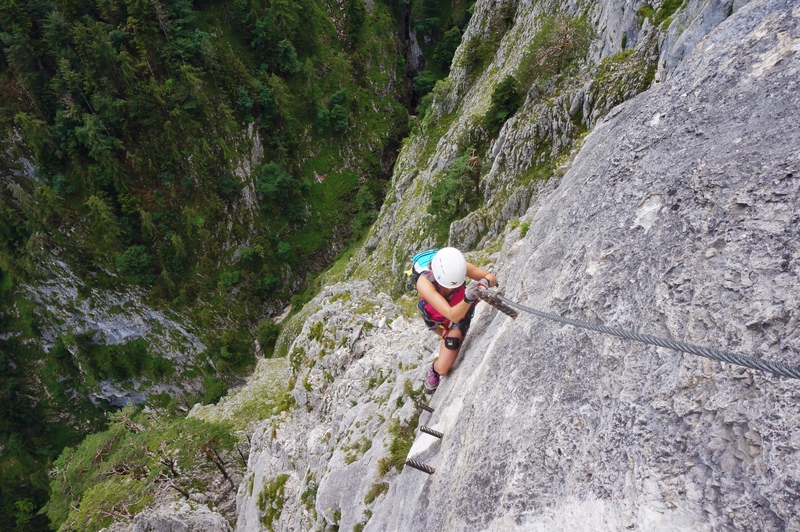 Only a few parts are described as lighter C. My personal opinion is that for athletic and above all dizzy-free persons this climbing route could also be a first climbing/via ferrata experience. The best way would be you have either a more experienced climber or a mountain guide with you. In any case, surefootedness is essential as always. This climbing route is never really difficult. For this reason, it is always well-attended when the weather is good and it especially attracts newcomers. 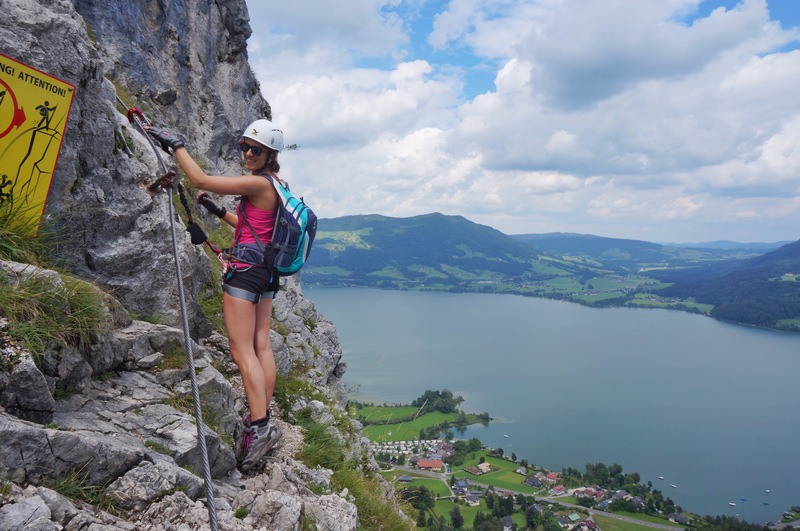 The combination of the impressive landscape, the gleaming glacier ice in the distance and the great view of lake Mondsee makes the Drachenwand a great tour. 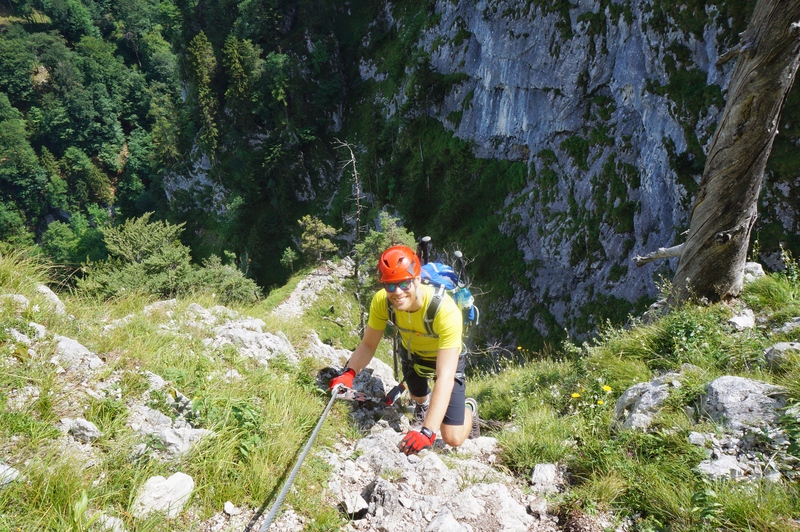 Without particularly demanding passages the route goes up to the summit cross called Europakreuz. 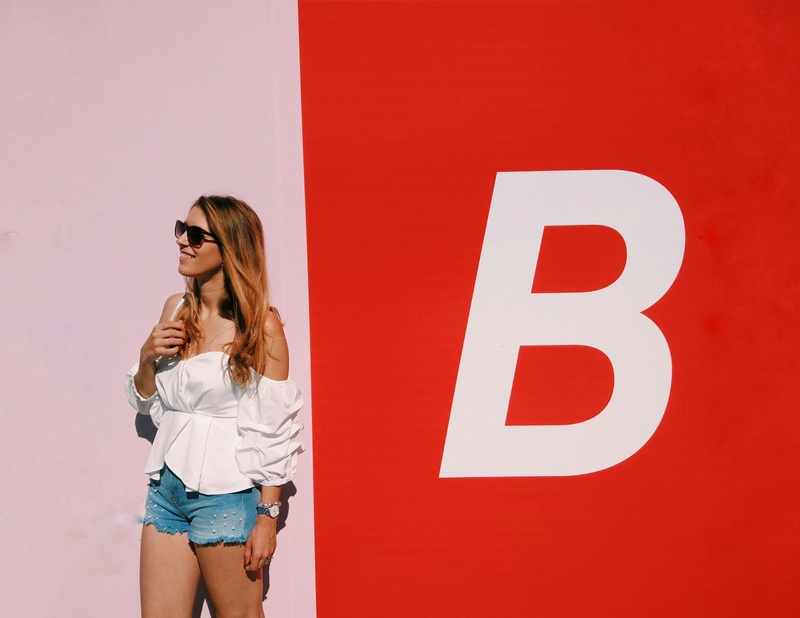 Where do I take the best photo? 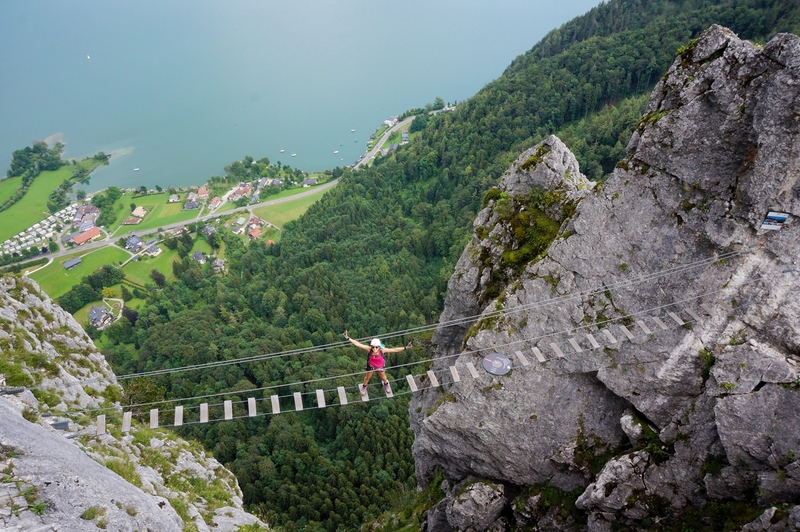 We climbed the Drachenwand on a Tuesday morning and luckily we were nearly the only people. I guess there were maybe 4-5 others. 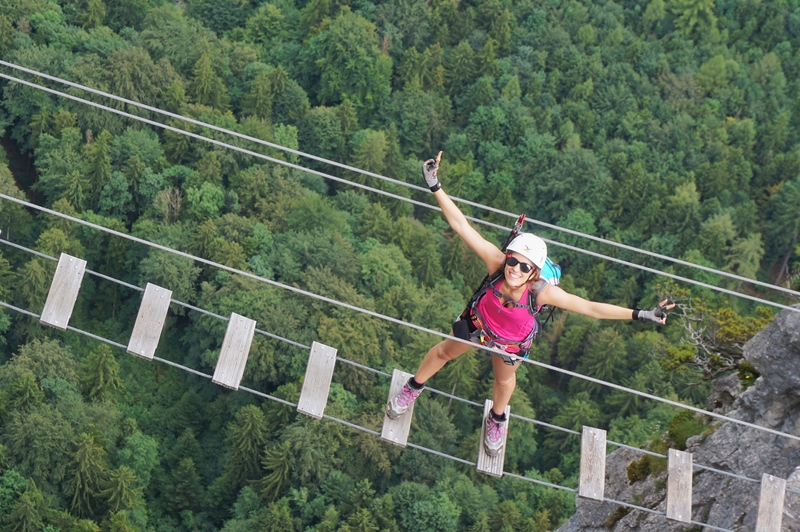 I would really recommend to climb the Drachenwand on a weekday if somehow possible. You can then avoid waiting time. 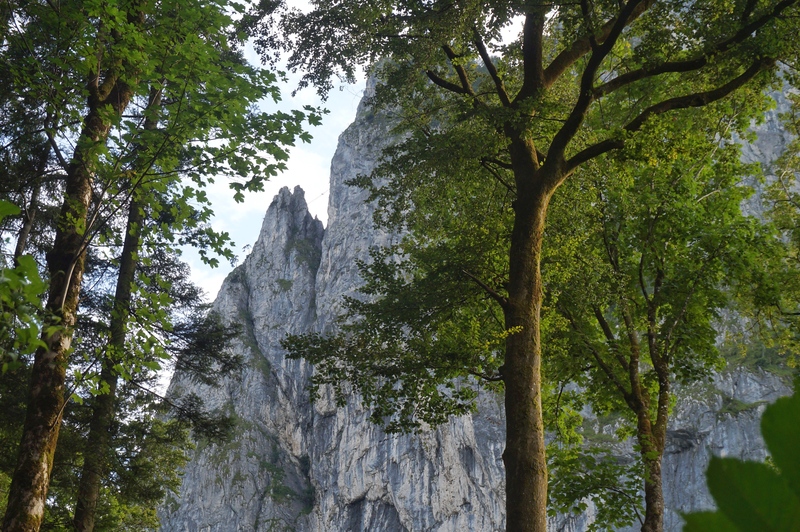 I hope you got an impression of the climbing route in beautiful Salzburg by watching my photos. I am personally a huge fan of the Drachenwand. Although it is sometimes overcrowded when the weather is sunny, it is definitely worth a trip. I have bought my equipment from Amazon and I am super satisfied with it, so follow the link if you need an equipment too. 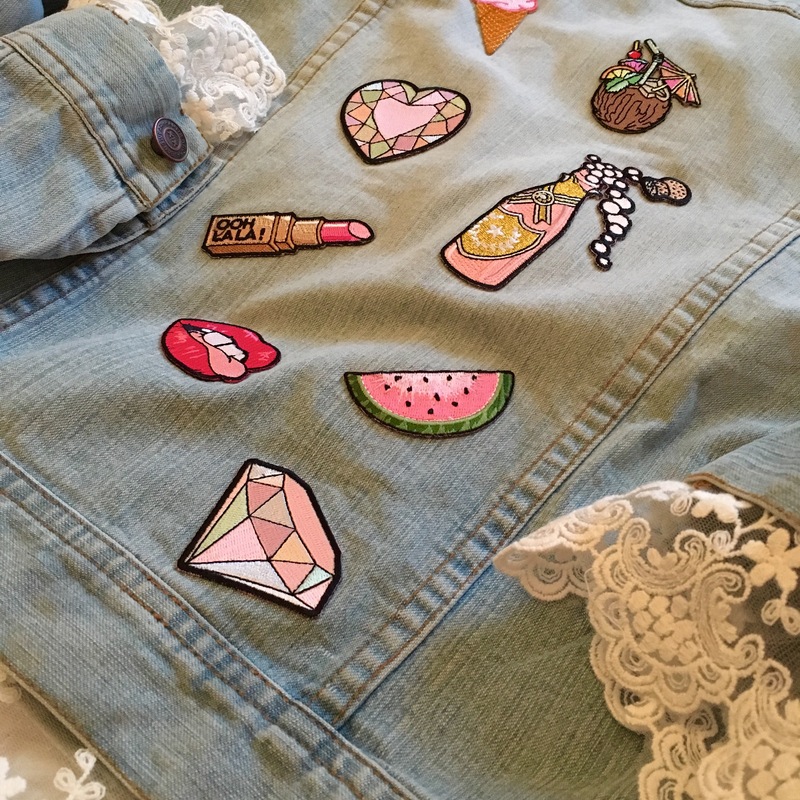 Your style is unique compared to other folks I have read stuff from. Thank you for posting when you’ve got the opportunity, Guess I’ll just book mark this blog. Thank you so much 🙂 Your message made my day! So good to read that someone likes what I do.